I was born on 18 May 1973, and I now live in a small town near Caerphilly in the South Wales valleys. When I was younger I used to be a long distance runner. I was a Welsh 3k champion and used to run half marathons in 1hr 20mins! I surfed for around 10 years and also skated on half pipes back in my younger days. After 7 years of estate agency, I decided that the draw of the fitness and bodybuilding industry was still too much. The sociable lifestyle had led to me drinking too much and smoking 20 cigarettes a day, not the best way to sell myself as a ‘fitness expert’. So I decided that I would give up drinking and smoking on the same day back in 2000 and give myself 100% to my chosen sport. I have never looked back and have been drinking and smoke-free for the last 7 years. It was not long after that I made a ‘life-changing’ decision and gave up the good money, company car and our brand new home, to follow my dream of becoming a personal trainer. Times were tough and the house that my wife and I had just bought had to be let out while I trained and got my qualifications. 6 hard months later my client base was large enough for us to move back home and out of my parent’s house. It had all been worth it. So many times I hear people say ‘if only…’ well I am proof that it can be done. You may endure a bit of hardship but by taking a step back I have taken leaps forward and am now doing something that I really am passionate about and getting up for work is no longer a drag but something I look forward to. Whilst all this was going on I was competing too and in 2005 I realized my dream and won my first British title. I started seriously training around 14 years ago, though weights had always fascinated me since I was 16. My idols were Franco Columbo, Lee Labrada, Shawn Ray, Flex Wheeler, Dorian Yates and more recently James Flex Lewis. I stepped it up a couple of years later when a training partner of mine said that I had rubbish genetics and that I would never make a bodybuilder. So from that day I decided I would compete and after around 9 months at the late age of 30 I decided to enter my first show in 2003 which, out of 13 competitors, I won. Since then I have competed around 16 times. Later that year i was invited to compete in the NABBA UK First Timers finals which I also won. A week after that win I entered my first IFBB show (UKBFF) and won the Intermediate category which gave me an invite to the British Finals in 2004. About halfway through 2004, I decided that I would enter another qualifier so I could compete in the Mens Middleweight category and not the Inter’s. I won the qualifier then went on to take 3rd in the Mens Middleweight class at the British Championships; I was totally stoked!! In 2005 I came back after qualifying late in 2004 again as a Middleweight. I won again and this enabled me to compete in the 2005 British Finals. I took the Middleweight British title but missed out on the overall. 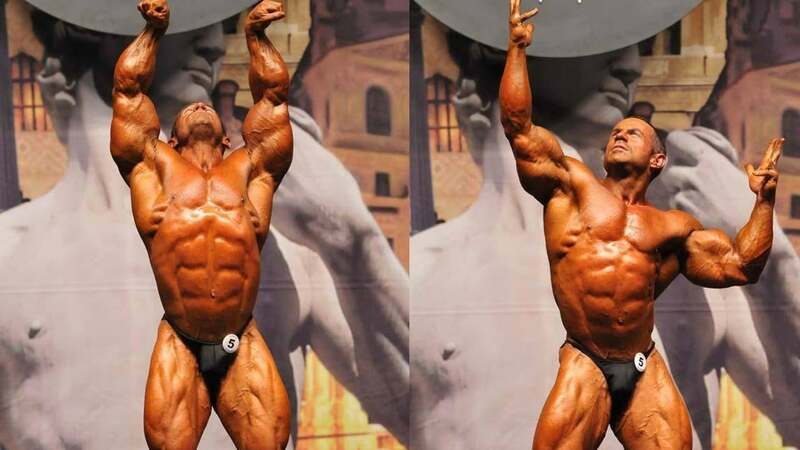 In 2006 I took a little time away from the IFBB and competed with WABBA where I won the British Title and the Overall and came 5th in the World Championships in the Short Class. In 2007 I decided I wanted to come back into the IFBB so had to requalify to compete at the finals (as I had defected in 2006, naughty naughty!!). I again won my qualifier as a light heavy and then came runner-up to Flex Lewis in the Light heavyweight category at the British Finals. In 2008 I teamed up with Flex’s mentor, Neil Hill. He took me back down to a Middleweight and I won the Middleweight title again but this time took the Overall and with it the 1 Pro Card that the UK give out each year! After 5 years of competing and doing numerous guest spots, I decided that I would take 2009 out of the competitive arena and spend time growing my PT and Nutritionist business and it’s keeping me busy. 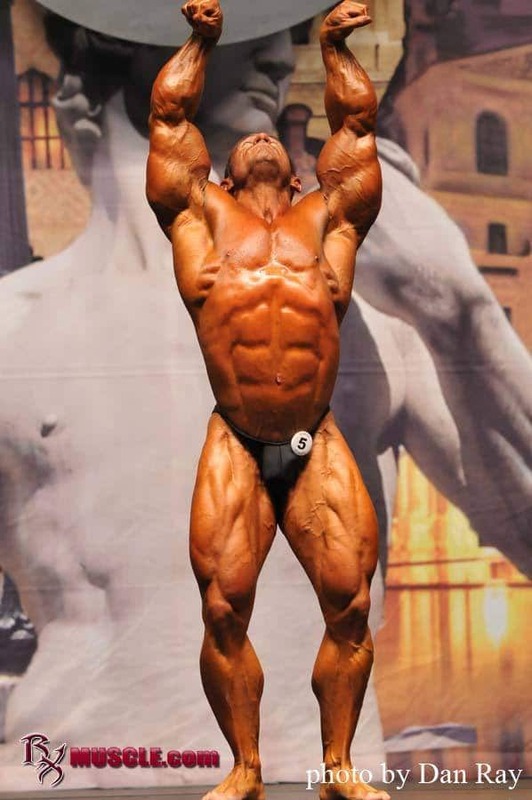 In 2011, I placed 3rd at the IFBB British Grand Prix and 14th at the IFBB Olympia. In 2012 I placed 9th at the IFBB British Grand Prix. In 2013 I decided I wanted a complete break from the sport to live a normal life with my family, and dropped 28 lb. Now I prepare and advise people now in the sport of bodybuilding, as well as personal training for those who want to make lifestyle changes and feel and look better. I also have 2 DVDs out at the moment – ‘One Step Ahead’ and ‘The Awakening’.